Samsung has introduced its other smartphone in India, the Galaxy J2 2018, which is an upgraded version of the old Samsung Galaxy J2. The direct encounter of Galaxy J2 (2018) will be from Xiomi’s popular handset Redmi 5. It has been informed that this handset will be available in Gold, Black and Pink colors from April 27, 2018. The Samsung Galaxy J2 (2018) is priced at Rs 8,190. The phone has 2 GB of RAM. Inbuilt storage is 16 GB, and it is possible to use the MicroSD card up to 256 GB if needed. Speaking of the camera, Samsung Galaxy J2 (2018) has an 8-megapixel autofocus camera on the rear. There is a 5-megapixel sensor on the front for selfie and video chat. Both cameras have LED flash support. 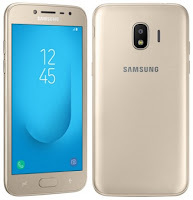 The Samsung Galaxy J2 (2018) has a super AMOLED display with a 5-inch QHD (540 x 960 pixels) resolution. 2600 mAh battery will work in smartphone It has been claimed to get talk time of up to 18 hours. The phone comes with the polycarbonate body. The Galaxy J2 (2018), which has an 8.4 mm thickness, has a 1.4 GHz quad-core Snapdragon processor. Speaking of connectivity, Samsung’s budget smartphone features 4G VoLTE, Wi-Fi 801.11b / g / n, Bluetooth 4.2, GPS, 3.5mm audio jacks and micro-USB 2.0. The dimensions of the phone are 143.8 x 72.3 x 8.4 millimeters and weighing 153 grams.